Why Orange Springs Retreat Center? Orange Springs Retreat Center is a place where you can do just about everything under the sun. 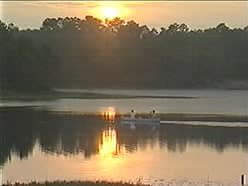 We are a magnificent 100-acre retreat center in the gentle rolling hills on the edge of Florida’s Ocala National Forest and on the shores of a spring-fed lake. OSRC is available year-round for rentals of groups up to 220 (and in some cases, larger). We feature climate-controlled facilities to accommodate groups in all Florida seasons. Our retreat center lodgings include double cabins separated by large, clean Formica bathrooms, plus a select number of private lodgings. We maintain group facilities throughout our property designed for group retreats. 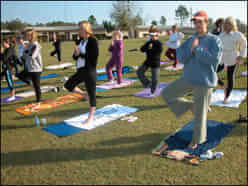 Orange Spring Retreat Center’s facilities include everything your group or event could ever need. Click the button to discover everything we offer. Discover how perfect Orange Springs Retreat Center can be for your group, organization or event. Contact us today. We’ve hosted thousands of events since 2003, so we know that our facility will be perfect for yours. Complete the form on this page and our team will be in touch with you as soon as possible. Or, simply call us at 561-221-7773 and we’ll be happy to discuss every element of your future event. Thank you for your interest in Orange Springs Retreat Center.